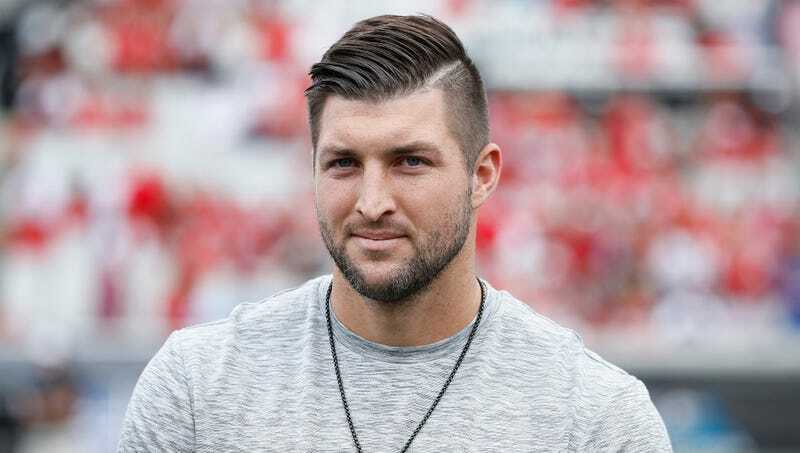 NEW YORK—Despite the years of effort and success in lower-level religious practice, a group of professional scouts told reporters Friday that they strongly doubt Tim Tebow will ever make it to heaven. “I know he’s put in a lot of prayers and missionary work, but when it comes to getting to heaven, Tebow just doesn’t have the raw spirituality you need,” said scout Gregory Veitch, adding that Tebow’s lifelong commitment to finding eternal bliss in the divine Kingdom of God was impressive, but that it takes a really special kind of talent to make it all the way to the top. “I could see him spending some time in purgatory for sure—there are always open spots for someone as devoted to Christ as Tebow—but he needs to accept reality and realize that getting to heaven is just something that isn’t going to happen.” At press time, Tebow had decided to abandon Christianity and try his hand at reaching heaven through Judaism.